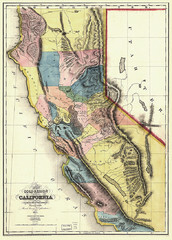 Wine region map of state of California. 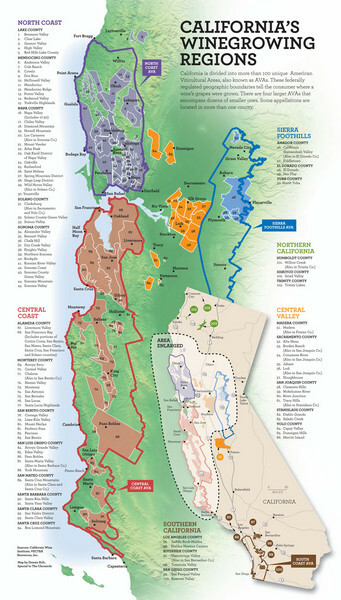 Shows 100 American Viticultural Areas (AVAs). There are 4 larger AVAs that emcompass dozens of smaller ones.